The Ninth Amendment (Amendment IX) to the United States Constitution addresses rights, retained by the people, that are not specifically enumerated in the Constitution. It is part of the Bill of Rights. The Ninth Amendment has generally been regarded by the courts as negating any expansion of governmental power on account of the enumeration of rights in the Constitution, but the Amendment has not been regarded as further limiting governmental power. When the U.S. Constitution was put to the states for ratification after being signed on September 17, 1787, the Anti-Federalists argued that a Bill of Rights should be added. One of the arguments the Federalists gave against the addition of a Bill of Rights, during the debates about ratification of the Constitution, was that a listing of rights could problematically enlarge the powers specified in Article One, Section 8 of the new Constitution by implication. For example, in Federalist 84, Alexander Hamilton asked, "Why declare that things shall not be done which there is no power to do?" Likewise, James Madison explained to Thomas Jefferson, "I conceive that in a certain degree ... the rights in question are reserved by the manner in which the federal powers are granted" by Article One, Section 8 of the Constitution. That those clauses which declare that Congress shall not exercise certain powers be not interpreted in any manner whatsoever to extend the powers of Congress. But that they may be construed either as making exceptions to the specified powers where this shall be the case, or otherwise as inserted merely for greater caution. It has been objected also against a Bill of Rights, that, by enumerating particular exceptions to the grant of power, it would disparage those rights which were not placed in that enumeration; and it might follow by implication, that those rights which were not singled out, were intended to be assigned into the hands of the General Government, and were consequently insecure. This is one of the most plausible arguments I have ever heard against the admission of a bill of rights into this system; but, I conceive, that it may be guarded against. I have attempted it, as gentlemen may see by turning to the last clause of the fourth resolution. This was an intermediate form of the Ninth Amendment that borrowed language from the Virginia proposal, while foreshadowing the final version. It has been said, by way of objection to a bill of rights....that in the Federal Government they are unnecessary, because the powers are enumerated, and it follows, that all that are not granted by the constitution are retained; that the constitution is a bill of powers, the great residuum being the rights of the people; and, therefore, a bill of rights cannot be so necessary as if the residuum was thrown into the hands of the Government. I admit that these arguments are not entirely without foundation, but they are not as conclusive to the extent it has been proposed. It is true the powers of the general government are circumscribed; they are directed to particular objects; but even if government keeps within those limits, it has certain discretionary powers with respect to the means, which may admit of abuse. The First through Eighth Amendments address the means by which the federal government exercises its enumerated powers, while the Ninth Amendment addresses a "great residuum" of rights that have not been "thrown into the hands of the government," as Madison put it. The Ninth Amendment became part of the Constitution on December 15, 1791 upon ratification by three-fourths of the states. The Ninth Amendment has generally been regarded by the courts as negating any expansion of governmental power on account of the enumeration of rights in the Constitution, but the Amendment has not been regarded as further limiting governmental power. The U.S. Supreme Court explained this, in U.S. Public Workers v. Mitchell 330 U.S. 75 (1947): "If granted power is found, necessarily the objection of invasion of those rights, reserved by the Ninth and Tenth Amendments, must fail." The Supreme Court held in Barron v. Baltimore (1833) that the Bill of Rights was enforceable by the federal courts only against the federal government, and not against the states. Thus, the Ninth Amendment originally applied only to the federal government, which is a government of enumerated powers. The Framers did not intend that the first eight amendments be construed to exhaust the basic and fundamental rights ... I do not mean to imply that the ... Ninth Amendment constitutes an independent source of rights protected from infringement by either the States or the Federal Government ... While the Ninth Amendment – and indeed the entire Bill of Rights – originally concerned restrictions upon federal power, the subsequently enacted Fourteenth Amendment prohibits the States as well from abridging fundamental personal liberties. And, the Ninth Amendment, in indicating that not all such liberties are specifically mentioned in the first eight amendments, is surely relevant in showing the existence of other fundamental personal rights, now protected from state, as well as federal, infringement. In sum, the Ninth Amendment simply lends strong support to the view that the "liberty" protected by the Fifth and Fourteenth Amendments from infringement by the Federal Government or the States is not restricted to rights specifically mentioned in the first eight amendments. Cf. United Public Workers v. Mitchell, 330 U.S. 75, 94–95. I go further and affirm that bills of rights, in the sense and in the extent in which they are contended for, are not only unnecessary in the proposed constitution, but would even be dangerous. They would contain various exceptions to powers which are not granted, and, on this very account, would afford a colorable pretext to claim more than were granted. For why declare that things shall not be done which there is no power to do? Why, for instance, should it be said that the liberty of the press shall not be restrained when no power is given by which restrictions may be imposed? I will not contend that such a provision would confer a regulating power; but it is evident that it would furnish, to men disposed to usurp, a plausible pretense for claiming that power. My Brother GOLDBERG has adopted the recent discovery that the Ninth Amendment, as well as the Due Process Clause, can be used by this Court as authority to strike down all state legislation which this Court thinks violates "fundamental principles of liberty and justice", or is contrary to the "traditions and [collective] conscience of our people". ... [O]ne would certainly have to look far beyond the language of the Ninth Amendment to find that the Framers vested in this Court any such awesome veto powers over lawmaking, either by the States or by the Congress. Nor does anything in the history of the Amendment offer any support for such a shocking doctrine. The whole history of the adoption of the Constitution and Bill of Rights points the other way, and the very material quoted by my Brother GOLDBERG shows that the Ninth Amendment was intended to protect against the idea that, "by enumerating particular exceptions to the grant of power" to the Federal Government, "those rights which were not singled out were intended to be assigned into the hands of the General Government [the United States], and were consequently insecure." That Amendment was passed not to broaden the powers of this Court or any other department of "the General Government", but, as every student of history knows, to assure the people that the Constitution in all its provisions was intended to limit the Federal Government to the powers granted expressly or by necessary implication. ... [F]or a period of a century and a half, no serious suggestion was ever made that the Ninth Amendment, enacted to protect state powers against federal invasion, could be used as a weapon of federal power to prevent state legislatures from passing laws they consider appropriate to govern local affairs. [T]o say that the Ninth Amendment has anything to do with this case is to turn somersaults with history. The Ninth Amendment, like its companion, the Tenth, which this Court held "states but a truism that all is retained which has not been surrendered", United States v. Darby, 312 U.S. 100, 312 U.S. 124, was framed by James Madison and adopted by the States simply to make clear that the adoption of the Bill of Rights did not alter the plan that the Federal Government was to be a government of express and limited powers, and that all rights and powers not delegated to it were retained by the people and the individual States. Until today, no member of this Court has ever suggested that the Ninth Amendment meant anything else, and the idea that a federal court could ever use the Ninth Amendment to annul a law passed by the elected representatives of the people of the State of Connecticut would have caused James Madison no little wonder. Since Griswold, some judges have tried to use the Ninth Amendment to justify judicially enforcing rights that are not enumerated. For example, the District Court that heard the case of Roe v. Wade ruled in favor of a "Ninth Amendment right to choose to have an abortion," although it stressed that the right was "not unqualified or unfettered." However, Justice William O. Douglas rejected that view; Douglas wrote that "The Ninth Amendment obviously does not create federally enforceable rights." See Doe v. Bolton (1973). Douglas joined the majority opinion of the U.S. Supreme Court in Roe, which stated that a federally enforceable right to privacy, "whether it be founded in the Fourteenth Amendment's concept of personal liberty and restrictions upon state action, as we feel it is, or, as the District Court determined, in the Ninth Amendment's reservation of rights to the people, is broad enough to encompass a woman's decision whether or not to terminate her pregnancy." [T]he ninth amendment does not confer substantive rights in addition to those conferred by other portions of our governing law. The ninth amendment was added to the Bill of Rights to ensure that the maxim expression unique est exclusion alterius would not be used at a later time to deny fundamental rights merely because they were not specifically enumerated in the Constitution. The Declaration of Independence ... is not a legal prescription conferring powers upon the courts; and the Constitution's refusal to "deny or disparage" other rights is far removed from affirming any one of them, and even farther removed from authorizing judges to identify what they might be, and to enforce the judges' list against laws duly enacted by the people. Professor Laurence Tribe shares the view that this amendment does not confer substantive rights: "It is a common error, but an error nonetheless, to talk of 'ninth amendment rights.' The ninth amendment is not a source of rights as such; it is simply a rule about how to read the Constitution." In 2000, Harvard historian Bernard Bailyn gave a speech at the White House on the subject of the Ninth Amendment. He said that the Ninth Amendment refers to "a universe of rights, possessed by the people – latent rights, still to be evoked and enacted into law ... a reservoir of other, unenumerated rights that the people retain, which in time may be enacted into law". Similarly, journalist Brian Doherty has argued that the Ninth Amendment "specifically roots the Constitution in a natural rights tradition that says we are born with more rights than any constitution could ever list or specify." Robert Bork, often considered an originalist, stated during his Supreme Court confirmation hearing that a judge should not apply a constitutional provision like this one if he does not know what it means; the example Bork then gave was a clause covered by an inkblot. Upon further study, Bork later ascribed a meaning to the Ninth Amendment in his book The Tempting of America. In that book, Bork subscribed to the interpretation of constitutional historian Russell Caplan, who asserted that this Amendment was meant to ensure that the federal Bill of Rights would not affect provisions in state law that restrain state governments. A libertarian originalist, Randy Barnett has argued that the Ninth Amendment requires what he calls a presumption of liberty. Barnett also argues that the Ninth Amendment prevents the government from invalidating a ruling by either a jury or lower court through strict interpretation of the Bill of Rights. According to Barnett, "The purpose of the Ninth Amendment was to ensure that all individual natural rights had the same stature and force after some of them were enumerated as they had before." [T]he rights retained by the people are indeed individual natural rights, but those rights enjoy precisely the same status and are protected in the same way, as before the Bill of Rights was added to the Constitution. They are not relinquished, denied, or disparaged. Nor do natural rights become "constitutional rights." They are simply what all retained rights were before the enactment of the Bill of Rights: a guide to equitable interpretation and a rationale for the narrow construction of statutes that might be thought to infringe them, but not superior to explicit positive law. This understanding of the relation of unenumerated natural rights to a positive law closely resembles the relationship between common law and legislation: the common law governs in the absence of contrary legislation, and sometimes even guides or limits the interpretation of ambiguous or overbroad statutes, but does not prevail in the teeth of specific statutory overrides. Still others, such as Thomas B. McAffee, have argued that the Ninth Amendment protects the unenumerated "residuum" of rights which the federal government was never empowered to violate. According to lawyer and diplomat Frederic Jesup Stimson, the framers of the Constitution and the Ninth Amendment intended that no rights that they already held would be lost through omission. Law professor Charles Lund Black took a similar position, though Stimson and Black respectively acknowledged that their views differed from the modern view, and differed from the prevalent view in academic writing. Gun rights activists in recent decades have sometimes argued for a fundamental natural right to keep and bear arms in the United States that both predates the U.S. Constitution and is covered by the Constitution's Ninth Amendment; according to this viewpoint, the Second Amendment only enumerates a pre-existing right to keep and bear arms. The Ninth Amendment explicitly bars denial of unenumerated rights if the denial is based on the enumeration of certain rights in the Constitution, but this amendment does not explicitly bar denial of unenumerated rights if the denial is based on the enumeration of certain powers in the Constitution. It is to that enumeration of powers that the courts have pointed, in order to determine the extent of the unenumerated rights mentioned in the Ninth Amendment. 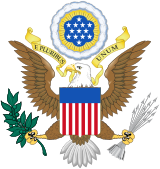 ^ United States Government Printing Office. "Unenumerated Rights – Ninth Amendment" (PDF). gpo.gov. ^ Alexander Hamilton, Federalist, no. 84, 575–81 (28 May 1788). ^ James Madison, Letter to Thomas Jefferson (October 17, 1788). Madison often expressed this idea, for example in a letter to George Washington dated December 5, 1789 ("If a line can be drawn between the powers granted and the rights retained, it would seem to be the same thing, whether the latter be secured by declaring that they shall not be abridged, or that the former shall not be extended"). ^ Virginia Ratification Resolution (June 26, 1788). ^ "Amendments Offered in Congress by James Madison". ^ a b c d e James Madison,Speech Introducing Bill of Rights (June 8, 1789). ^ "America's Founding Documents". 30 October 2015. ^ Roe v. Wade, 314 F. Supp. 1217 at 1223 (1970). ^ Roe v. Wade, 410 U.S. 113 (1973). Findlaw.com. Retrieved 2007-06-04. ^ Laurence H. Tribe, American Constitutional Law p. 776 n. 14 (2nd ed. 1998). ^ Bernard Bailyn, Remarks at White House Millennium Evening (2000). ^ a b Randy E. Barnett (November 2006). "The Ninth Amendment: It Means What It Says". Texas Law Review. UT Law School Publications. 85 (1): 1–82. Retrieved 2013-07-20. ^ Thomas B. McAffee, "Federalism and the Protection of Rights: The Modern Ninth Amendment's Spreading Confusion", 1996 B.Y.U. Law Rev. 351 (via archive.org). It was at first believed by our greatest judges and jurists that the whole English Constitution was implied in the Federal Constitution; that there is, as it were, an unwritten Constitution which we inherited in America and which consisted, not only of the English Constitution where not expressly altered by our own but of all matters of natural right and justice. Doubtless, this is the intended meaning of the Ninth Amendment ... Such is not, perhaps, the modern view; but the question has become, in fact, academic, for the reason that in 120 years of interpretation our Supreme Court has ever found some clause in the Federal Constitution into which to read any English constitutional principle not therein expressly altered. ^ Charles Lund Black, A New Birth of Freedom, 1999, p. 10, Yale University Press, ISBN 0-300-07734-3. According to Black, "The Academic writing on this amendment seems to me in great part a multidirectional fluttering flight from the Amendment's rather plain meaning". ^ Nicholas Johnson, Beyond the Second Amendment: An Individual Right to Arms Viewed Through The Ninth Amendment, 24 Rutgers L.J. 1, 64–67 (1992). ^ a b United Public Workers v. Mitchell, 330 U.S. 75 (1947). See also Jenkins v. Commissioner of Internal Revenue, 483 F.3d 90 (2d Cir 2007). Barnett, Randy E. (2005). Restoring the Lost Constitution: The Presumption of Liberty. Princeton, NJ: Princeton University Press. ISBN 0-691-12376-4. Farber, Daniel A. (2007). Retained by the People: The "Silent" Ninth Amendment and the Constitutional Rights Americans Don't Know They Have. Perseus Books Group. ISBN 0-465-02298-7. Lash, Kurt T. (2009). The Lost History of the Ninth Amendment. Oxford University Press. ISBN 0-19-537261-1. Barnett, Randy. "The Ninth Amendment: It Means What It Says", Texas Law Review, Vol. 85, p. 1 (2006). Barnett, Randy. "Kurt Lash's Majoritarian Difficulty", Stanford Law Review, Vol. 60 (2008). Lash, Kurt. "The Lost Original Meaning of the Ninth Amendment", Texas Law Review, Vol. 83 (2004). Lash, Kurt. "The Lost Jurisprudence of the Ninth Amendment", Texas Law Review, Vol. 83 (2005). Lash, Kurt. "A Textual-Historical Theory of the Ninth Amendment", Stanford Law Review, Vol. 60, p. 906 (2008). McConnell, Michael. "The Ninth Amendment in Light of Text and History", Cato Supreme Court Review 13 (2009–2010). Williams, Ryan. "The Ninth Amendment as a Rule of Construction", Columbia Law Review, Vol. 111, p. 498 (2011). "Bill of Rights Institute: Ninth Amendment"